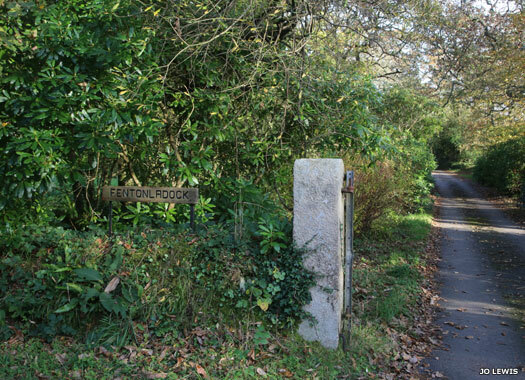 The general location of Trethurffe Old Chapel was about four hundred metres to the east of Ladock village centre, on the road towards Grampound Road. 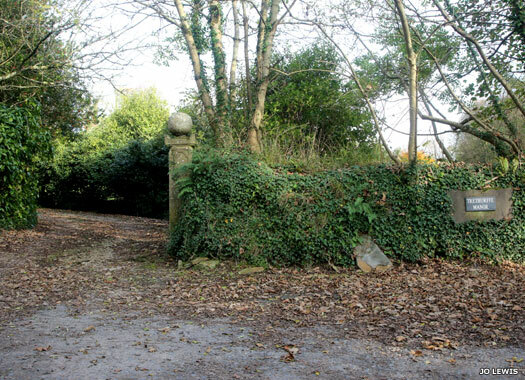 Trethurffe Manor, also largely lost, is marked on maps in this location as it was a large estate in the parish of Ladock but the chapel is not. Charles Henderson lists it in his work of 1925, associating it with the Tretherffe (or Trethurffe) family. It is very likely this was a domestic chapel within the manor's grounds. Back into Ladock, northwards along the B3275, and then east down a side lane is where the lost Fentonladock Old Chapel once stood. St Ladoca, a Cornish saint, is reported to have lived here, having come to Cornwall from Ireland with St Breage. 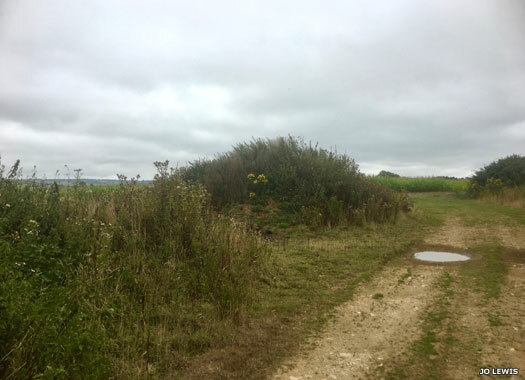 The chapel and Holy Well of St Ladoca were both located midway between the B3275 and the farm buildings of Fentonladock, and are clearly marked on OS maps (the older ones, at least). New Mills Bible Christian Chapel can be found by continuing northwards from Ladock along the B3275. The chapel lies at the northern end of this, inside the north-western arm of a minor t-junction there. The chapel is clearly marked on old maps, and can be dated in its construction to some time before 1914 - and quite probably earlier by at least a decade. Since closure, the building has been converted into a five bedroom house. Grampound Road Methodist Chapel and its associated Sunday School (built 1928) are on the left-hand side of Fore Street as it turns to cross the railway at South Street, heading southwards out of Grampound Road. Built in 1866 as a Wesleyan chapel the building was registered for baptisms from 1867. 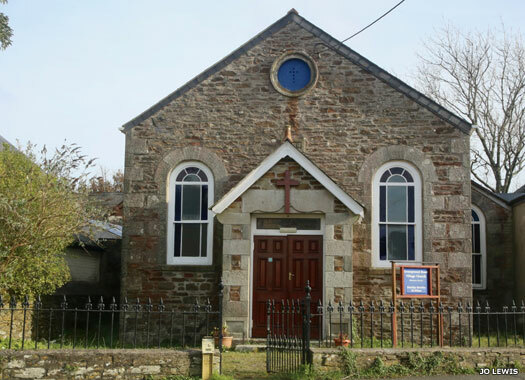 It became Grampound Road Methodist Church in 1932. From 1984, the congregation combined with that of the village's Anglican chapel to form a combined church. 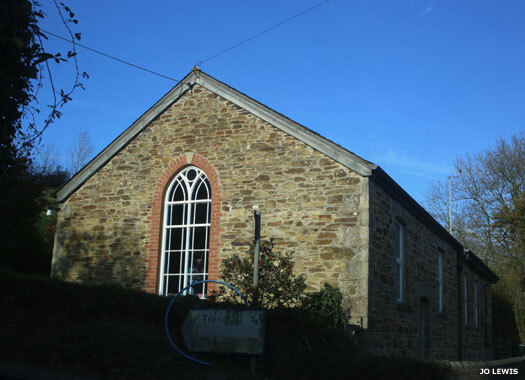 Grampound Road Mission Church is on the northern side of South Street immediately to the east of the railway line. Unfortunately the photo is of the less attractive rear section of the building, as seen from Station Road. Richard Wise, rector of Ladock in 1846-1885, purchased land here and built a school and mission church in 1878 - a chapel-of-ease for Ladock. 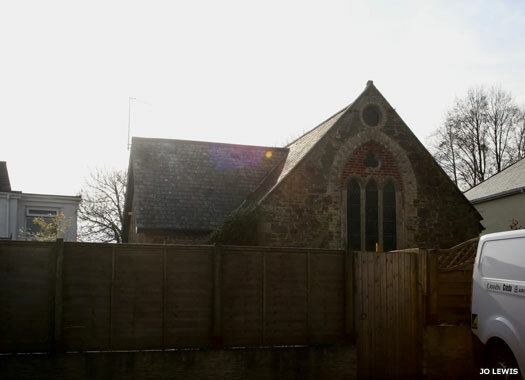 The chapel was enlarged in 1888 and closed in 2013 with the Methodist chapel being used instead (above). Hallnoweth Chapel seems to have stood somewhere near Grampound, and perhaps to the south of it, towards Tregellas. 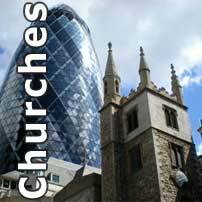 Records show eight old chapels in the old parish of Probus including Hallnoweth. The History of Cornwall records this as 'long since destroyed' with a cross only remaining. A spot near Tregellas Old Chapel is marked on modern OS maps as Halonoeth with a stone or marker there. From this view, Hallnoweth chapel would be over to the left. All photos on this page by Jo Lewis.